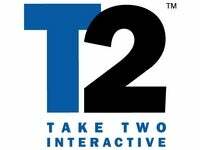 A U.S. District Court is asking Take-Two why they are refusing to comply with a subpoena and civil investigation demand from the Federal Trade Commission, the company reported today. Electronic Arts wants to buy Take-Two, we all know that. And Take-Two is playing hard to get, slightly souring EA's advances. In fact, we've heard the only reason that Electronic Arts is still pushing deals at Take-Two left and right is because they want to get their Federal Trade Commission approval for the deal. With that in hand, EA can walk from the table and return when it makes more since for everyone involved and, in theory, they wouldn't have to go through the FTC approval process again. Thing is, Take-Two now isn't playing nice with the FTC either. In an early morning update today, Take-Two notified investors, hangers-on and attentive journalists, that the U.S. District Court of DC is ordering the company to explain why they won't comply with the FTC. Take-Two says that they have been cooperating fully with the FTC in regards to their review of Electronic Arts' offer. The Company has already provided enormous quantities of data and access to key executives, and has offered to provide the FTC staff with additional documents and information. Nevertheless, the Company believes the FTC's subpoena and CID are unnecessarily broad and would entail unacceptable additional expense to the Company. To limit the inordinate expense and labor that the FTC's demand would entail, the Company has sought to obtain reasonable limits on the scope of the information sought. The court has ordered a hearing on June 24 to determine if Take-Two is required to comply. If Take-Two can't come to some sort of agreement with the FTC prior to the hearing they say they plan to fight the commission's request.